Are you wanting to go on an adventure of a lifetime? Our new and improved kayak sail will help your boat glide over the water's surface like a dream boat come true. You'll have excellent control over the direction of where your kayak sails, too! Our Adventure Sail is the perfect companion for kayaking on the river, lake, pond, and even the ocean. Have a blast gliding through the waves with friends and family as you remain in control of where your kayak ends up. Easy to Use: Our Adventure sails deploys in a matter of moments. All you do is deploy the sail while you're at the on-deck location and away you go! A steering line allows you to easily maneuver the sail while still being able to freely paddle the kayak. Our device even contains a large window in the center panel so you can safely see where you are going. 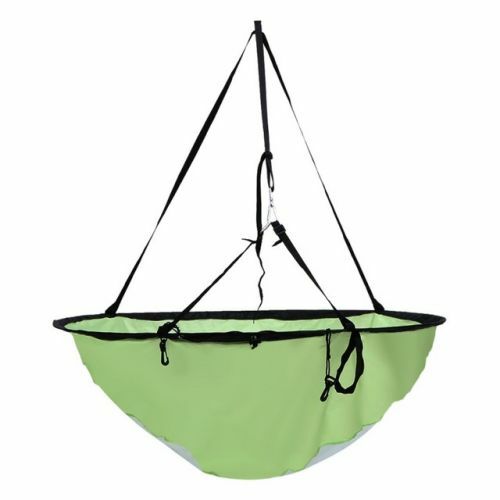 Safe and Durable: The innovative design of the Adventure Sail is very low. Actually, it is at the same level of the paddler. This combination makes your kayak incredibly stable. You don't have to worry about tipping over into the water. The sail is made from strong, dependable materials that won't rip or fray. You also don't have to worry about making a ton of sail adjustments every time the wind changes course. In high wind conditions, the batten retains its shape.